'Estivale Quattro', Custom Built River Cruiser. 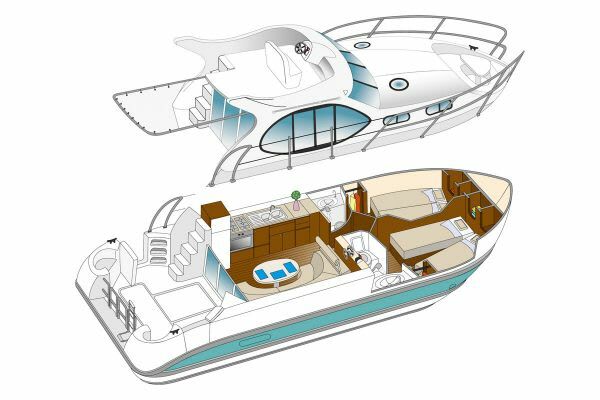 Available for bareboat charter. 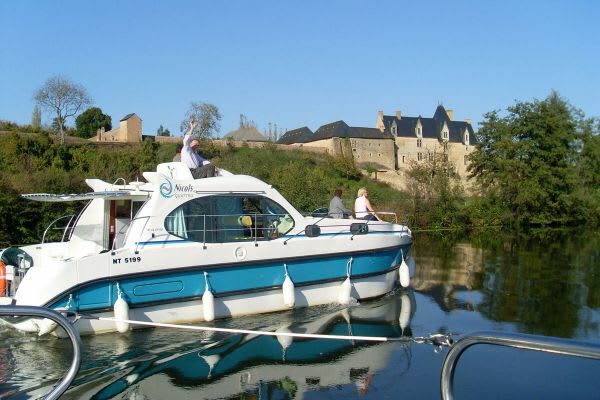 Based in various locations around France, including Anjou, Alsace, Aquitaine, Brittany, Burgundy, Canal du Midi, Franche Comté, and the rivers Charente, Loire and Saône. 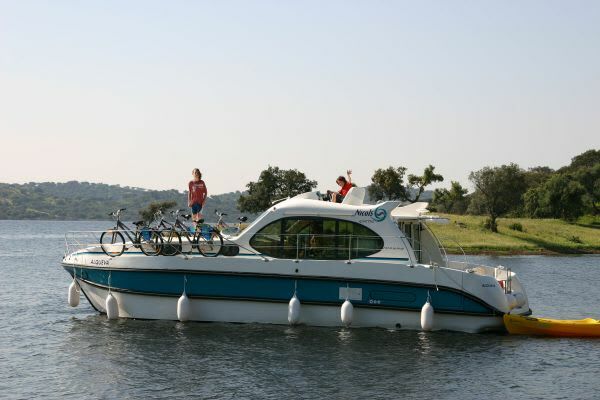 Charters are also available on the Grande Lago in Portugal, or in Brandenburg, Germany. Capacity for 6 guests/crew. Prices start from €807. 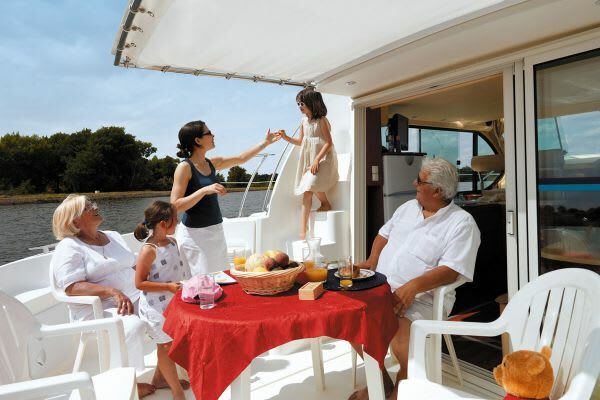 The 'Estivale Quattro' provides a perfect home-from-home for you and your family or small group, so that you easily can explore what France has to offer. 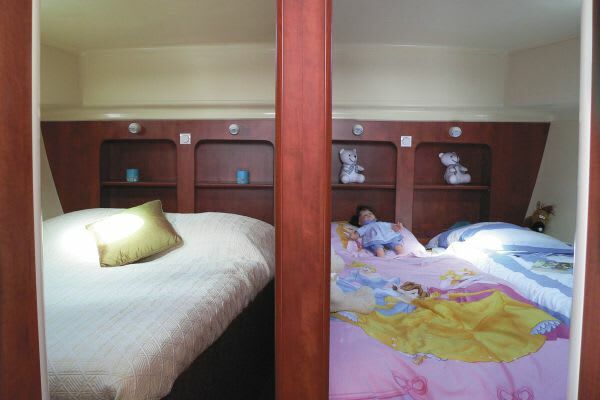 This boat provides ingeniously flexible accommodation: the double bed in each of the two cabins can be easily converted into two single beds. 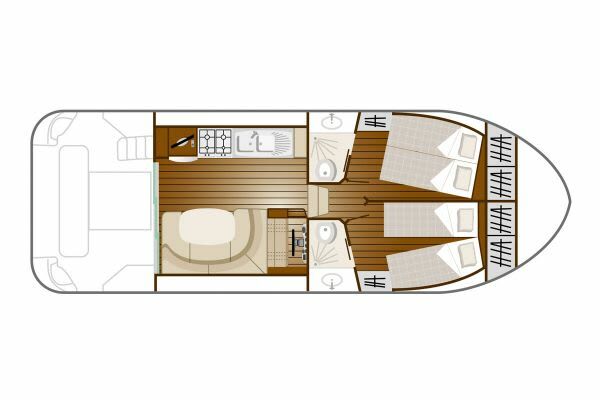 Combined with the capability to convert the saloon into a double berth, the 'Estivale Quattro' can provide comfortable arrangements for families and groups of varying sizes. The large windows allow panoramic views of the French countryside from the cockpit. 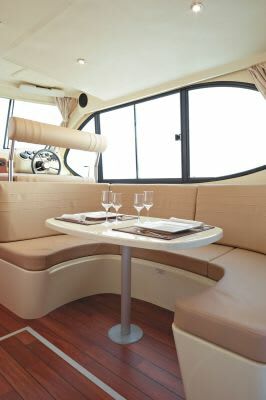 The ground level rear deck offers a space perfect for dining alfresco, complete with furniture, and a sliding sun awning to provide a shady retreat if needed. 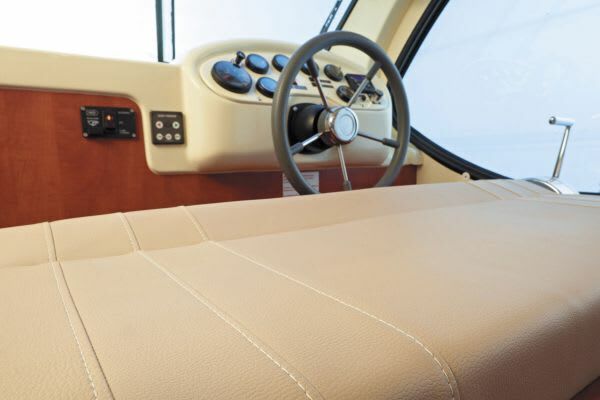 A second steering position has been installed for your convenience, as has a deck shower. 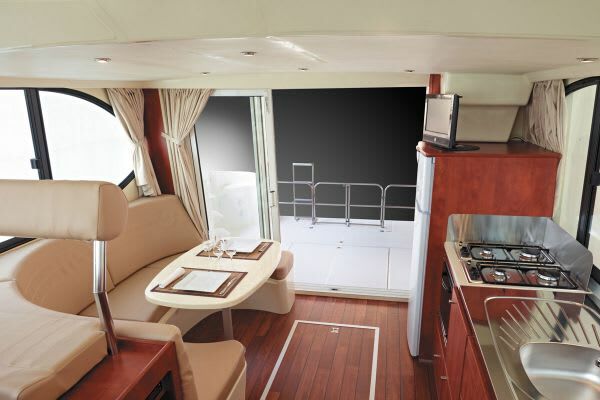 A swimming ladder can be found on the rear deck, allowing you to easily swim in whichever French river you choose to explore. Alternatively, for an additional fee (starting at €87), discover the pleasures of on-board bathing by adding a heated splash pool – simply tow it along with your boat (pool available from selected locations: please enquire).